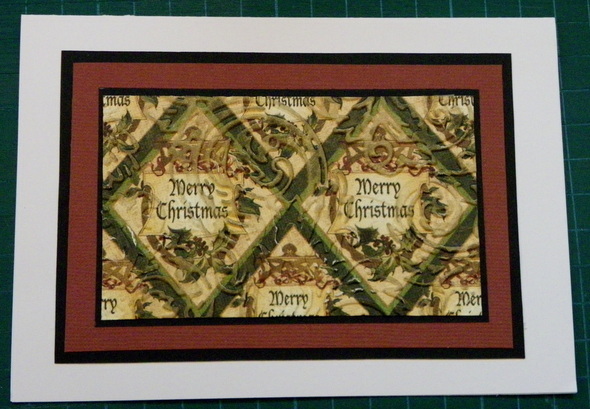 These Christmas cards are easy to make..
You need to have a Sizzix Big Shot or other compatible machine to emboss the paper. 1. 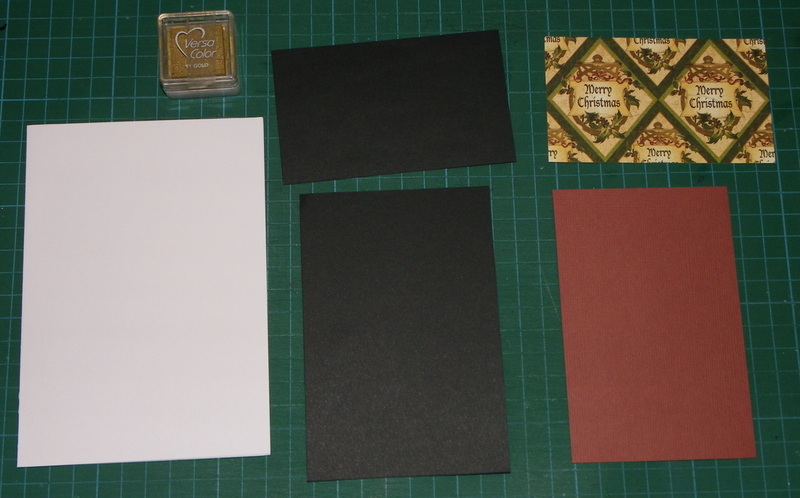 Cut your papers and card. 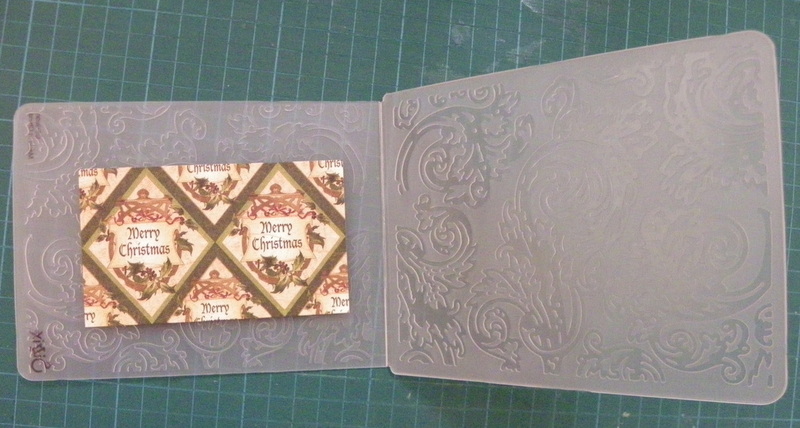 White Card: Cut a piece 15cm x 21 cm, folded in half to make a base card. Christmas Paper: Cut a piece 10.3 x 6.0cm (I used the markings on the paper as a guide). 2. 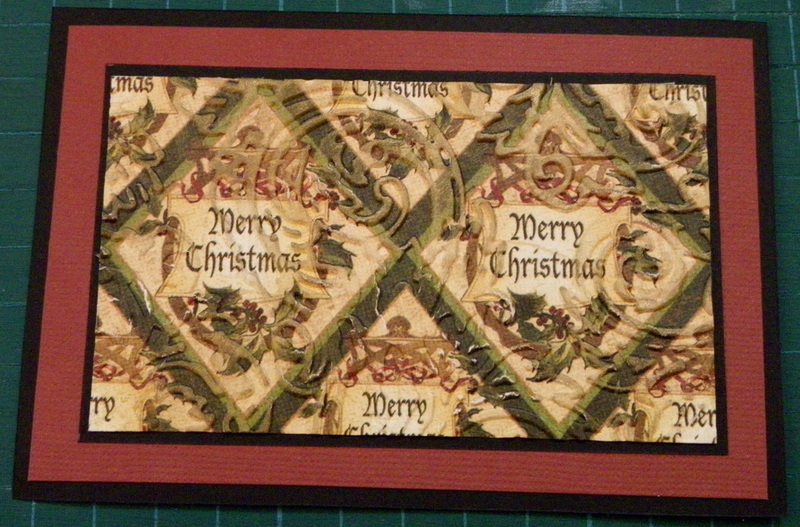 Emboss the christmas paper using the embossing folder (Regal Flourishes) and Big Shot Machine. 3. 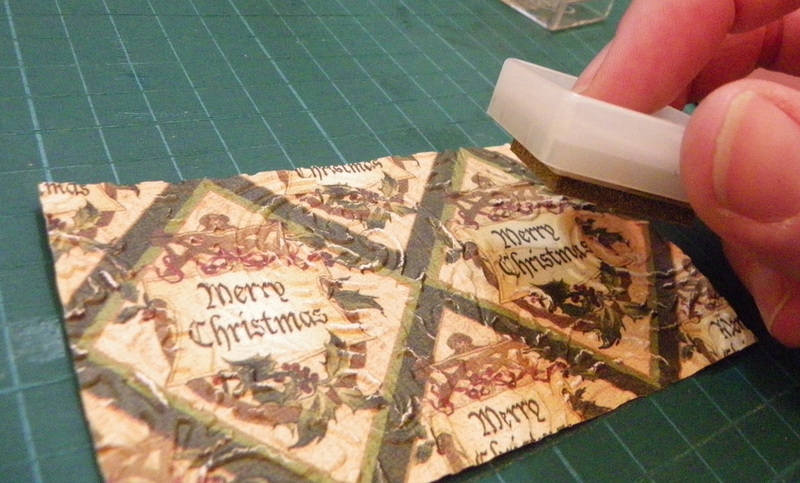 Using the gold ink, highlight some areas of the raised embossing. 4. 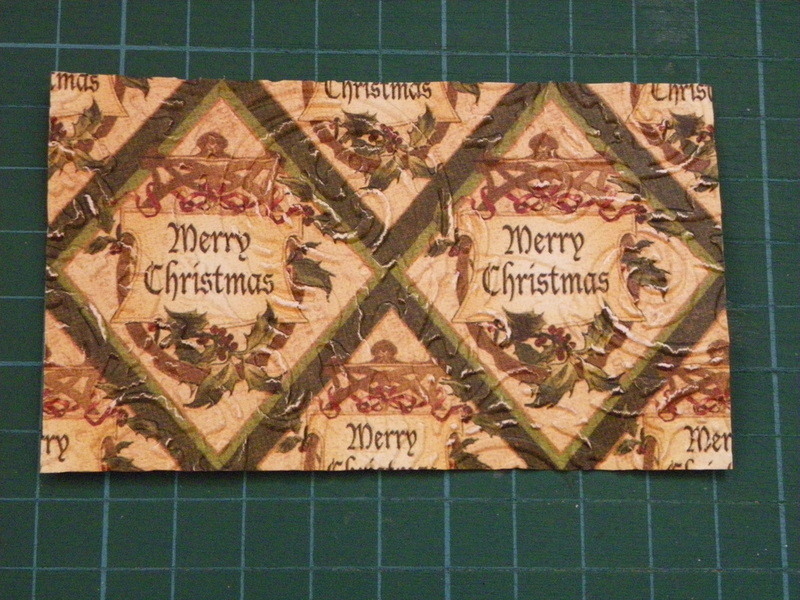 Layer the pieces on top of one another as shown, adhering them using the DSST. 5. 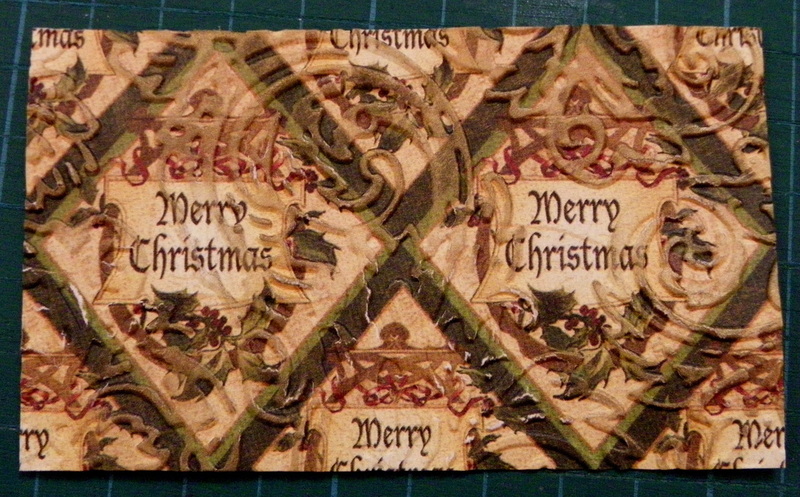 Adhere the assembled pieces onto the card base.